Here is another family recipe for my quick and easy seafood salad. · Sprinkle in enough dill to cover top of seafood mixture and stir in well. There you have it; the seafood salad is ready to eat. 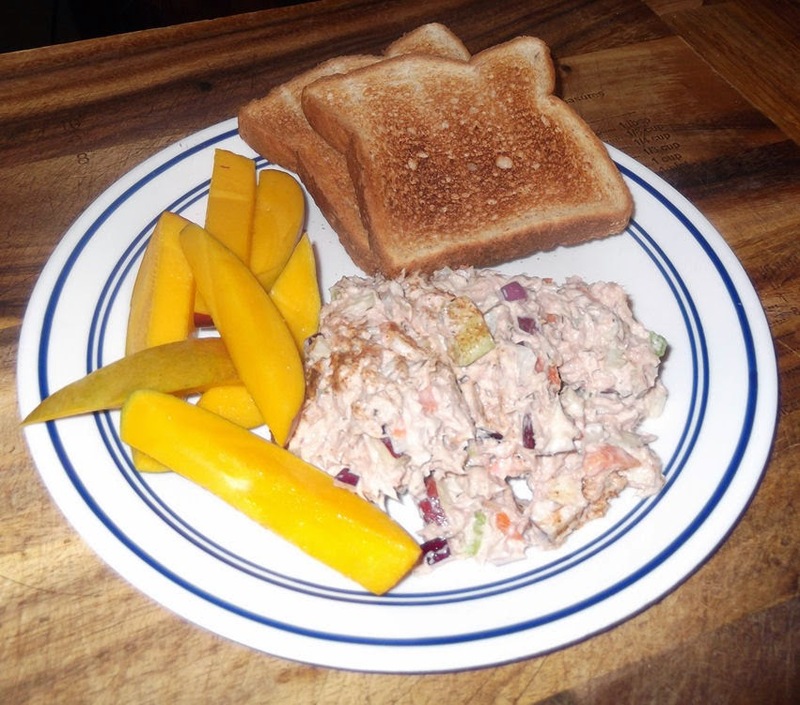 The plate above is served with wheat toast and mango slices, which is a delicious meal for dinner or a lazy weekend afternoon.